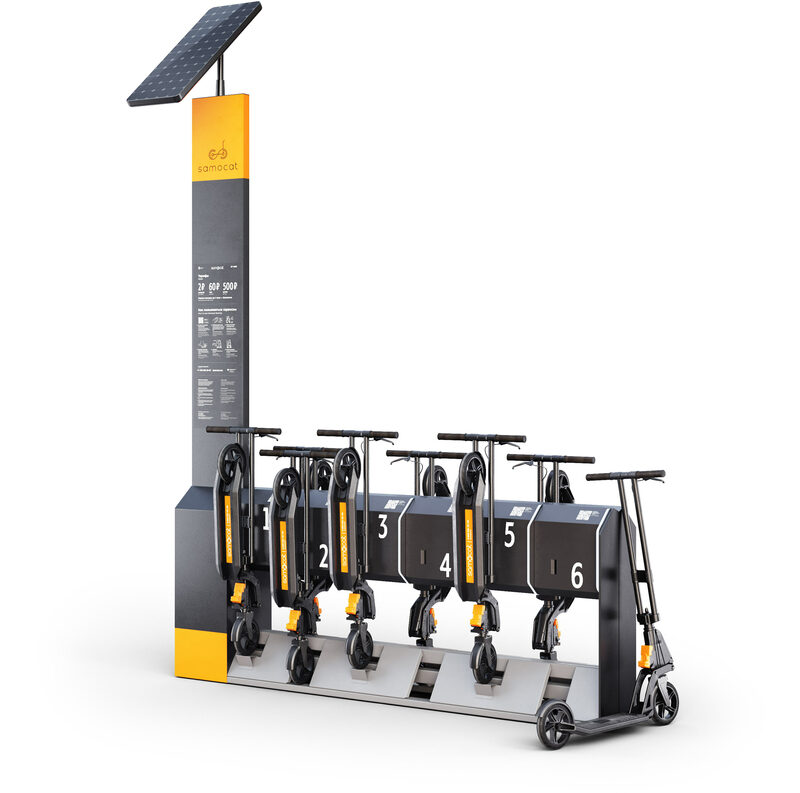 Task: to design a scooter rental station. People like to ride bikes in the city, but they like to ride scooters even more. Skolkovo residents Samocat Sharing decided to create a scooter rental station. They came up with the station’s brains and special lock and came to the studio for the design. It was important to create a station that is compact and easy to maintain. We arranged scooters in staggered rows, fitting more of them while taking up less space. Apart from their primary function, the glowing dividers also act as dimensional markers: passers by do not touch the wheels or get their clothes caught in scooter handlebars. 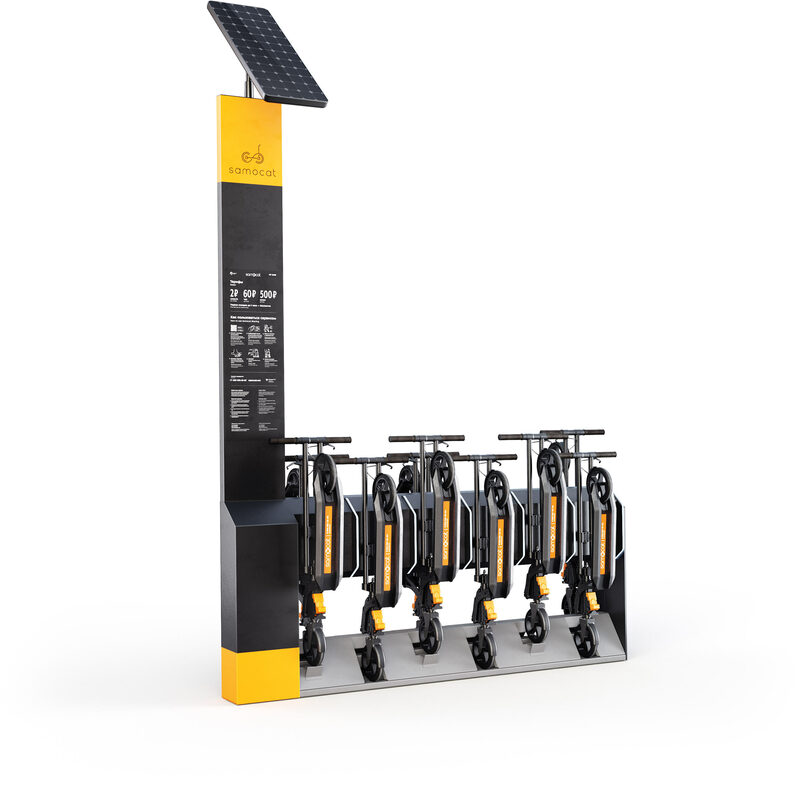 The side pillar contains a battery and the locking mechanism while its top is crowned by a solar panel, a common accessory in today’s cities. The process of using the station is explained with graphic pictures and plain text. 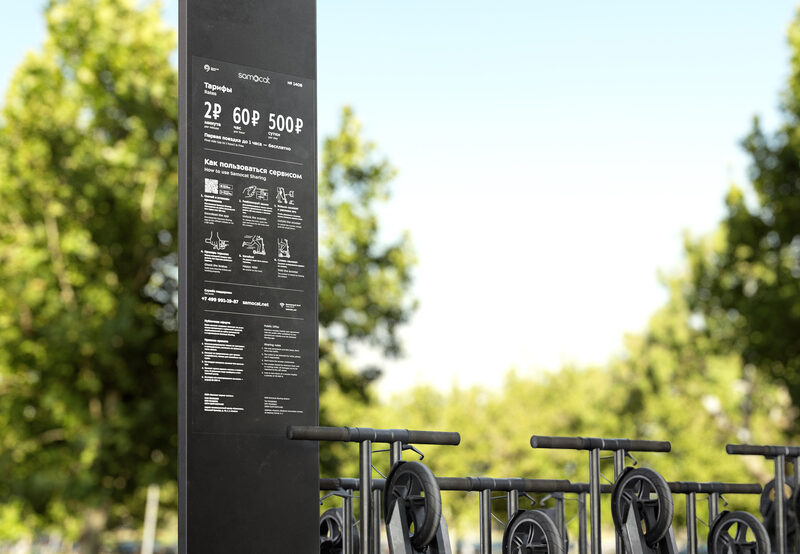 Rates are displayed in big typeface giving an instant answer to the first question of those who want to go for a ride. The station can be easily installed as it can be anchored to the surface or a wall. Two stations can be installed back to back. The design is incredibly simple and economical to produce, both of which are important properties for urban equipment.